Ahh the 1980s. It was a time of neon colors, bright eyeshadow, big hair, leggings with leg warmers, and more. It was a decade that first introduced us to the phenomenon of television programs on MTV and VH1, and our media was being brought to us it a totally new way. But, of course, we can’t talk about the ‘80s without bringing up the iconic movies that changed everything. The teen movies of the 1980s were game changers in the world of popular culture. They revolutionized the way teenagers were portrayed, putting the teen experience front and center, and making them the heroes. It changed the genre forever, and defined a generation of young movie fans. At the center of these movies were the young actors and actresses who were bringing the stories to life. They quickly developed rabid fan bases, and you would’ve been hard pressed to find a magazine cover without one of their faces on it. The ladies of the ‘80s in particular ruled the social scene, and people loved to know everything about them from what they wore, to what their favorite foods were. But what happened to these actresses over the years? If you’ve ever wondered what happened to your favorite teen actresses from the 1980s you’ve come to the right place. Keep reading to find out what these iconic ladies been up to. Jennifer Beals had been a virtually unknown actress, until 1983 when she danced her way through the classic dance movie, Flashdance. Beals played the lead role of Alex Owens, a young woman who was working as a welder by day, and exotic dancer by night. All Alex ever dreamed of was going to Ballet School, and after encouragement from her boyfriend, she works her way up to a genuine audition. Her final dance at the end of the movie to the song, What a Feeling, remains an iconic cinematic moment. Beals’ dance skills were just one of the many reasons people latched on to the film, and it has definitely earned a spot as one of the must watch movies of the ‘80s. Flashdance was just the beginning for Jennifer Beals, and she has since gone on to have quite the successful career. She has gone on to star in a number of films and shows such as Vampire’s Kiss, The L Word, The Chicago Code, and The Night Shift. Most recently, you can catch her on the NBC series Taken. In 1986, Beals married filmmaker Alexandre Rockwell, but ultimately divorced him in 1996. Two years later she married Ken Dixon, a Canadian Entrepreneur, and gave birth to their daughter in 2005. Outside of acting, Beals enjoys working in photography and fashion, and also is involved in activism within the LGBT community. Lea Thompson was a household name in ‘80s, starting with her role opposite Tom Cruise in the teen movie, All the Right Moves. But she really shot to fame when, in 1985, she stared as Lorraine Baines in Back to the Future, which has gone on to be considered a pop culture icon. From there she went on to be in John Hughes’ Some Kind of Wonderful, as the popular Amanda Jones. The movie became a hit, and Thompson even won a Young Artist Award for Best Actress for the film, solidifying her place as one of the top teen movie actresses of the decade. It was during her filming of Some Kind of Wonderful that Lea Thompson met her now husband, Howard Deutch, who she married in 1989. She continued to be a successful actress appearing in movies and shows such as Dennis the Menace, Little Rascals, The Unspoken Truth, and Caroline in the City. At times she took brief breaks from acting after giving birth to her daughters, Madelyn and Zoey. She recently just finished a six year run on the popular drama, Switched at Birth, and is now set to star in the new adaptation of Little Women. After appearing in a couple of modest films, Winona Ryder got the role of Lydia in the Tim Burton hit, Beetlejuice, which ended up a huge success and put her in the spotlight. But the role that truly earns her a spot on this list has to be Veronica Sawyer, from The Heathers. Premiering in 1988, the movie was totally different than any teen movie that people had seen, and it set off a huge cult following. Even today, her role is still talked about, and the film has even gone on to inspire an off-Broadway musical. Winona Ryder went on to star in a number of hit films including Edward Scissorhands, Little Women, The Crucible, Alien: Resurrection, Girl Interrupted, and Black Swan. In her personal life she’s had some ups and downs, including a arrest for burglary in 2001, which resulted in a few years off from the acting scene. However, Ryder is also very involved in philanthropy work, particularly with indigenous education organizations. Today you can watch her on the Netflix hit series, Stranger Things, as Joyce Byers. Jennifer Grey made her big debut with the action teen film, Red Dawn, starting opposite big names like Patrick Swayze, Lea Thompson, and Charlie Sheen. Her time on the film led to her being cast in the John Hughes’ seminal movie, Ferris Bueller’s Day Off in 1986. This already shot her to ‘80s teen fame, but the best was yet to come. In 1987, Grey starred in one of the best dance movies of the ages, Dirty Dancing. This became a defining role for her, and one that she continues to be best known for today. The ‘80s might have been a big decade for Jennifer Grey, but her career largely tapered off after that. She’s had small roles in TV shows such as Friends, House, It’s Like You Know, and Red Oaks. In 2010 she competed in the 11th season of Dancing With the Stars, and ended up winning with her partner Derek Hough. Outside of show business, Grey has recently become involved with political activism. In her personal life, she is married to actor Clark Gregg, and the couple have one daughter together. 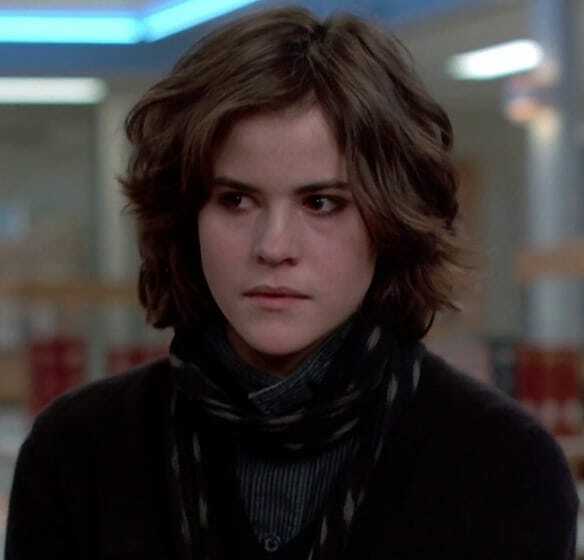 The ‘80s were the height of Ally Sheedy’s career, but unfortunately fame came with a high price, and lot of pressures. For most of the ‘90s she battled with substance abuse, eventually seeking treatment at a rehab facility. This led to her playing the role of someone suffering through similar issue in the independent film, High Art in 1999. In 1992 she married actor David Lansbury, and they had one child together. The couple ultimately divorced in 2008. No list of the ‘80s could possibly be complete without the one and only Molly Ringwald. She starred in some of the most recognizable teen movies of all time including Sixteen Candles, The Breakfast Club, and Pretty in Pink. 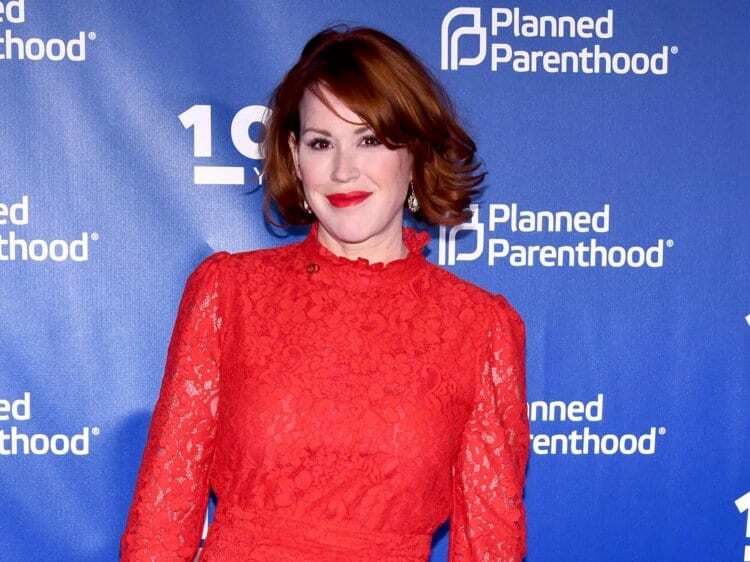 She was one of the top known actresses of the decade, and arguably the queen of the notorious “Brat Pack.” Even to this day, Molly Ringwald’s name is synonymous with ‘80s pop culture, and they remain her best known roles to date. Molly Ringwald continued her acting career appearing in shows and films such as Townies, The Giving Tree, Not Another Teen Movie, and Secret Life of the American Teenager. In her personal life, she is currently married to writer and editor Panio Gianopoulos. The couple have three children together, and one of her pregnancies was even used as a plot point in Secret Life of the American Teenager. Today you can catch her on the CW’s teen drama series Riverdale, or in the Netflix movie, The Kissing Booth. Phoebe Cates was a popular actress in the 1980s, starring a few hit films of the decade. In 1982 she starred in Fast Times at Ridgemont High as the memorable Linda Barrett. Rolling Stones even referred to her bikini drop as one of the most memorable in movie history. She then went on to star in the comedy Private School as Christine, and also played Kate Beringer in the cult hit Gremlins. Between these three movies, and the popularity they brought her, it is safe to say that Cates has definitely earned a spot on this list. After the ‘80s, Phoebe Cates had a few roles in films such as Gremlins 2 and Princess Caraboo, but overall her acting career mostly petered out in the following years. In 1989 Cates married actor Kevin Kline, despite the 16 year age difference between them. The couple have two children together, and Cates decided not to work as much because she wanted to be around more for her kids. In 2005, she opened a boutique shop in New York City called Blue Tree. Besides that, she enjoys being with her family and supporting her husband in his career. Demi Moore was one of the core members of the legendary Brat Pack in the ‘80s. Her membership to the squad was courtesy of her starring role in the sensational film, St. Elmo’s Fire, in which she played the role of Debbie. Moore also went on to star in the popular movies One Crazy Summer, About Last Night, and Wisdom. She was best friends with fellow Brat Pack member, Ally Sheedy, and together with Molly Ringwald, these girls ruled the ‘80s pop culture scene. Demi Moore’s career continued to climb after the ‘80s. She went on to star in major films such as Ghost, A Few Good Men, An Indecent Proposal, Disclosure, The Scarlet Letter, and GI Jane. Most recently you can watch her on the latest season of the series, Empire. Moore has had quite a few marriages and engagements, including her marriage to actor Bruce Willis, which resulted in her three children. She was also famously married to a young Ashton Kutcher, but the couple ended up divorcing in 2013. 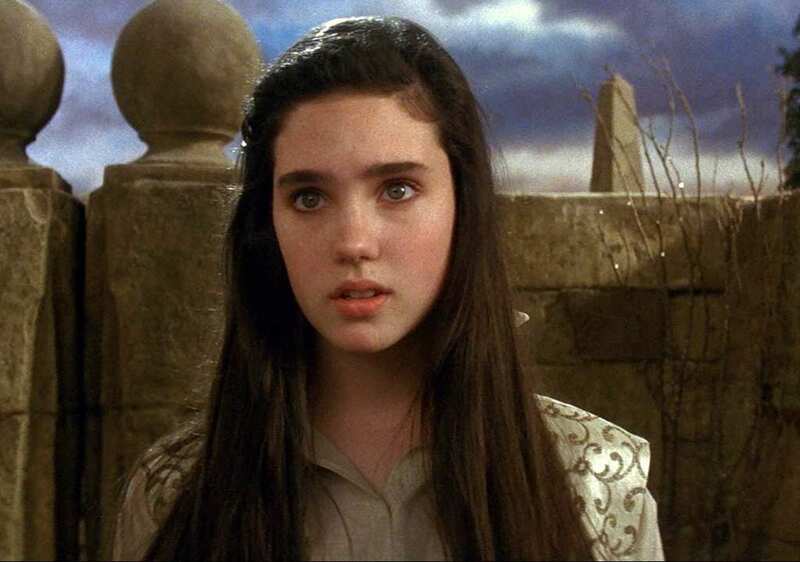 Jennifer Connelly kicked off her movie career with the drama Once Upon a Time in America, but the movie that truly put her on the map, and got the attention of other young people, was her role in the Labyrinth. Starring alongside pop legend David Bowie, Connelly played the role of Sarah, a 16 year old girl who makes an unwise deal with the goblin king. What transpires is a fantasy film unlike anything audiences had seen before, which led the film to gain a big cult following. After her role in Labyrinth, Jennifer Connelly’s career only continued to grow from there. 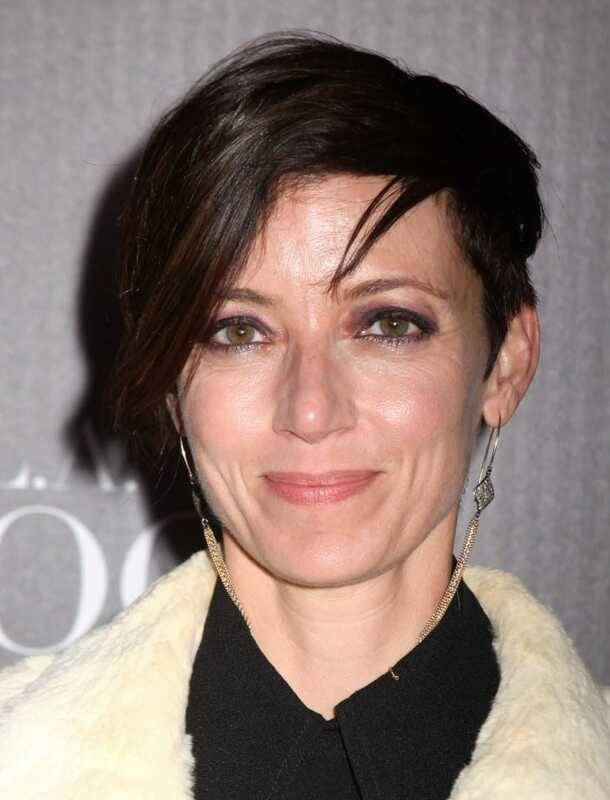 She has gone on to appear in films such as The Hot Spot, Higher Learning, Requiem for a Dream, A Beautiful Mind, Blood Diamond, Winter’s Tale, and Only the Brave. Outside of acting, Connelly has been very involved in philanthropy, and was named the Amnesty International Ambassador for Human Rights Education. In her personal life, she has one child with her former partner David Dugan, and two children with her current husband, actor Paul Bettany. When you think back on classic ‘80s movie moments it would be impossible not to picture John Cusack, holding his boombox overhead, and serenading a very special girl. But let’s not forget about the lovely actress who played that girl, Ione Skye. 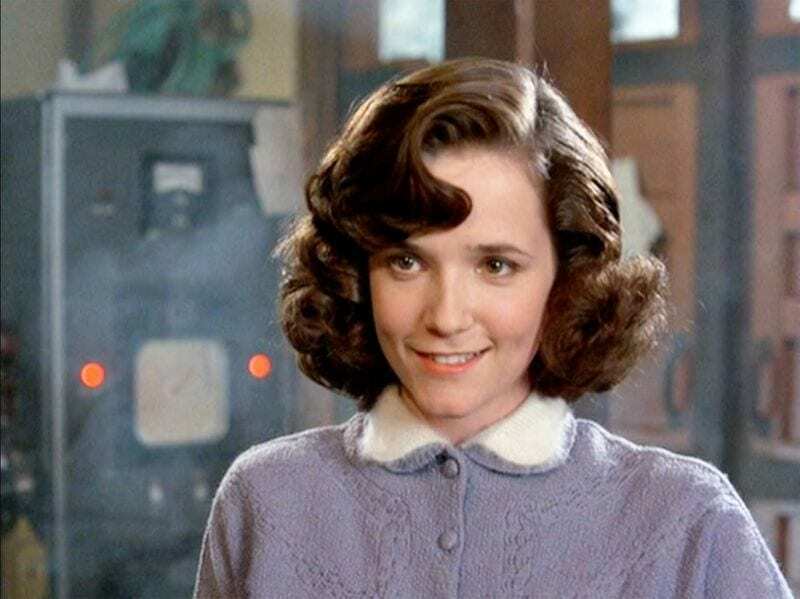 While she had appeared in a couple movies before, her role as Diane in Say Anything is definitely what earns her a spot on this list. Teenage girls everywhere were envious of Diane, wishing that they too would one day have a boy who would play them a love song, just like that. After her big role in Say Anything, Ione Skye went on to appear in films and shows such as Samantha, Wayne’s World, One Night Stand, Covington Cross, Zodiac, XOXO, and Heartthrob. Outside of acting Skye does work as an artist, including paintings and illustrations. She published a children’s book titled My Yiddish Vacation, and has successfully sold a number of paintings. Skye was previously married to Beastie Boys member, Adam Horovitz, before divorcing in 1999. In 2008, she married Australian musician, Ben Lee, and the couple have one daughter together. Jennifer Jason Leigh has gone on to star in a number of films including Single White Female, Dolores Claiborne, Georgia, Mrs. Parker and the Vicious Circle, Road to Perdition, Margot at the Wedding, Kill Your Darlings, and The Hateful Eight. 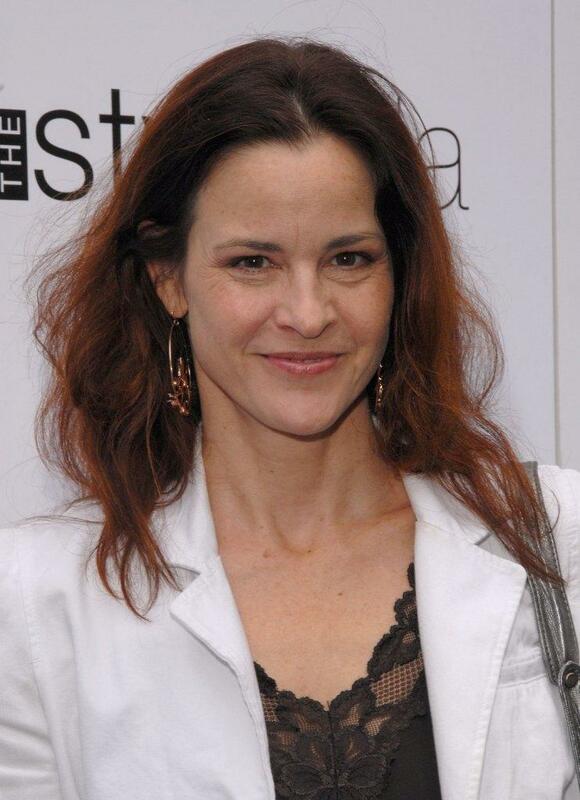 Her role in The Hateful Eight earned her numerous nominations including at the Golden Globes and Academy Awards. Today, you can watch her in the Netflix series Atypical. Leigh was previously married to writer and director Noah Baumbach, and the couple had one child together before divorcing in 2013. For the young boys who felt like outcasts in high school, John Hughes’ film Weird Science felt like the ultimate fantasy. And at the center of that fantasy was the gorgeous Kelly LeBrock, who starred as Lisa, the “perfect” magical woman that two teenage boys created. This was LeBrock’s second movie ever, and it helped introduce her to a whole new generation. While it may have been a bit more out there than some other John Hughes movies, it gained a cult following, and is still considered a classic of the decade. Kelly LeBrock has only been in a few other projects since the ‘80s including Hard to Kill, Hard Bounty, The Sorcerer’s Apprentice, Zerophilia, and Gamers. Outside of acting, LeBrock is probably best known for her successful modeling career. She famously starred in the Pantene shampoo commercial with the line, “Don’t hate me because I’m beautiful.” She was previously married to actor Steven Seagal, and the couple had three children before divorcing in 1996. She is currently married to investment banker Fred Steck, and the couple live together on a ranch in California. Ferris Bueller probably wouldn’t have had such an epic day off without his trusty best friend and girlfriend along for the ride. Playing his girlfriend Sloane was Mia Sara, who had just come off of the successful Ridley Scott film, Legend. Ferris Bueller’s Day Off has become one of the quintessential teen movies of the ‘80s, and continues to be quoted and used in numerous pop culture references. It remains Sara’s best known role to date, and it definitely earns her a spot among the ‘80s teen actresses. Mia Sara went on to appear in various other films and shows such as Queenie, Timecop, Dazzle, Birds of Prey, Tinseltown, and Dorothy and the Witches of Oz. In 2010 she decided to mostly retire from acting, and has not appeared in anything since 2013. Outside of acting, she received her pilot’s license and enjoys flying. Sara was previously married to Sean Connery’s son, Jason, and had a son with him before divorcing in 2002. She is currently married to Brian Henson, who is the son of the late Jim Henson, and together they have one daughter. Lori Singer first caught the public’s notice when she began appearing in the series Fame, but once she was cast as the lead role in Footloose everyone knew her name. Footloose is the ultimate dance movie of the ‘80s, and with its title song by Kenny Loggins, it remains a pop culture icon. It’s hard to imagine anyone but Singer playing the rebellious dancing Ariel alongside Kevin Bacon, but believe it or not she actually beat out Madonna for the role! Footloose remains what Lori Singer is best known for, but she has appeared in a few other shows and films including Trouble in Mind, Equinox, VR.5, When Will I Be Loved, and The Institute. She has also turned her passion towards producing documentaries which so far includes, Mea Maxima Culpa: Silence in the House of God, and God Knows Where I Am. Besides acting she is also an accomplished cellist, singer, and dancer. Singer was formerly married to Richard Emery, and they had one child together before divorcing in 1998. Risky Business is huge in pop culture, and the film that ultimately helped make Tom Cruise the superstar he is today. But there would be no Risky Business without his co-star Rebecca De Mornay. She played Lana, a call girl who seduces a teenage boy into entering a dangerous business venture. It was De Mornay’s breakout role, and the film that launched her career. Despite it being 25 years old, she remains proud of the film saying that she believes it is timeless, and we can’t help but agree. Rebecca De Mornay has appeared in numerous films and shows including The Trip to Bountiful, Runaway Train, The Three Musketeers, The Shining, A Table For One, ER, Wedding Crashers, and Mother’s Day. Today, you can watch her on Netflix in the series Jessica Jones. She was briefly married to writer Bruce Wagner, before divorcing in 1990. She was also engaged to the late singer Leonard Cohen, and helped produce his album The Future. De Mornay used to also have a relationship with sportscaster Patrick O’Neil, and they had two daughters together. Teenagers of the ‘80s who had ever been put down for being geeky or nerdy felt vindicated by the film Revenge of the Nerds, especially watching nerd Lewis win the pretty girl Betty. Betty was played by Julia Montgomery, and the film instantly made her the fantasy of many teenage boys around the country. A part from a couple other roles beforehand, Revenge of the Nerds was Montgomery’s big foray into the big screen, and nearly three decades later it remains a movie that is considered highly memorable. Julia Montgomery’s role in Revenge of the Nerds remains her biggest one to date, and she was even brought back for two of the film’s sequels, Revenge of the Nerds III: The Next Generation and Revenge of the Nerds IV: Nerds in Love. She has also appeared in Full House, Cheers, Milk Money, and Sharp. Montgomery isn’t as involved in the acting business these days, and spends her time with her husband Jon David Reed. The two live in California with their two children. 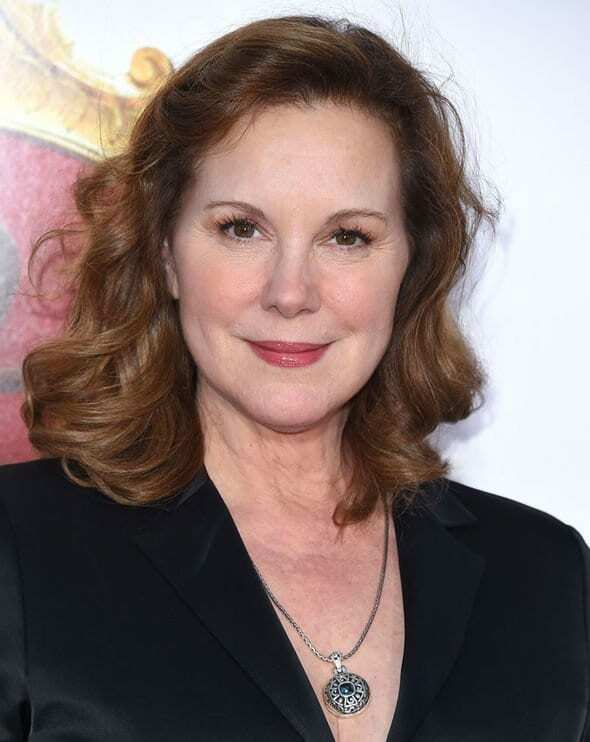 Elizabeth Perkins started off her acting career with a bang by starring in the popular romantic comedy, About Last Night, as Joan. She starred alongside two of the decade’s megastars, Demi Moore and Rob Lowe, plus the great John Belushi. The movie was a huge success, with some critics even preferring it to St. Elmo’s Fire. For Perkins it was her breakthrough role, that earned her the title of one of the top 12 “Promising New Actors of 1986.” It also helped pave the way for her to star alongside Tom Hanks in Big just two years later. Following Big, Elizabeth Perkins went on to receive critical acclaim for her roles in Avalon and The Doctor. She also appeared in shows and films such as The Flintstones, Miracle on 34th Street, 28 Days, Battery Park, Must Love Dogs, Weeds, and One Child. Perkins was briefly married to actor Terry Kinney in the ‘80s, and in 1991 she had a child with her then boyfriend Maurice Phillips. In 2000 she married cinematographer Julio Macat, and they remain together today. Betsy Russell had only had a few small roles before she was cast in the starring role of the racy comedy, Private School. Films like Fast Times at Ridgemont High and Private School set the tone for the more daring high school related movies that followed, and Russell certainly had a hand in that. She played the voluptuous Jordan, the roommate of Phoebe Cates’ character, and together they showed the raunchier side of teenage girls. The film was fairly successful, and helped open doors for Russell’s career. After Private School, Betsy Russell went on to appear in a number of films and shows including Tomboy, Cheerleader Camp, The Break, Saw III, Saw IV, Saw V, Saw VI, and Knock ‘Em Dead. In 1989 she married Vincent Van Patten, and the couple had two children together. When her first son was born with 1993 she decided to take a break from acting in order to spend time with her family. In 2001 the couple ultimately ended up divorcing, and she soon began filming the Saw movies after. If you were to ask around, many boys of the ‘80s would have admitted to having a crush on Elizabeth Shue. Fans first began to take notice starting from the time she starred as Ralph Macchio’s love interest in The Karate Kid in 1984. Shue then went on to star in Adventures in Babysitting, and in the second and third instalments of the Back to the Future trilogy. These roles helped solidify her image as the ultimate girl next door, and made her quite popular amongst the younger crowd of the decade. Most young people these days might know Sarah Jessica Parker for her work on television, but she started as a teen movie actress in the ‘80s. After a few small roles, her big debut came out out in 1984 with the musical sensation, Footloose, as Rusty. After seeing her dance skills, the following year this led to her being cast in the leading role for the cult hit, Girls Just Want to Have Fun. The ‘80s was a decade that loved their dance movies, and Parker’s place in these two made her a huge hit with the younger crowd. After the ‘80s, Sarah Jessica Parker’s fame only continued to rise. She went on to appear in Hocus Pocus, The First Wives Club, and ‘Til There Was You. But the role that she has become best known for is, of course, as Carrie Bradshaw in SATC. The show even went on to produce two follow up movies. Outside of acting, Parker has also become very involved in the fashion industry. In 1997 she married fellow actor Matthew Broderick, and the couple have three children together. Today, you can watch her in the TV series, Divorce.